The Arab International Optronics Company has the technique and technical components for the manufacture and installation of electronic results boards / electronic video screens and the implementation of integrated technical insurance works including the following: Managing the demands of spare parts for electronic and video screens (up to twenty years) Training of technical personnel on the operation, Periodic and preventive development and updating of the product in accordance with international requirements (updating the current plates according to the future demands of the international federations) Implementation of repair and maintenance work immediately after the call with our willingness to pay immediate support staff immediately. The international tournaments and the Olympic competitions to carry out the operation and maintenance of the technical efficiency of the results and continuity of their work with the required efficiency according to their technical specifications. Preparing the engineering and construction equipments and the metal structures of the electronic boards. 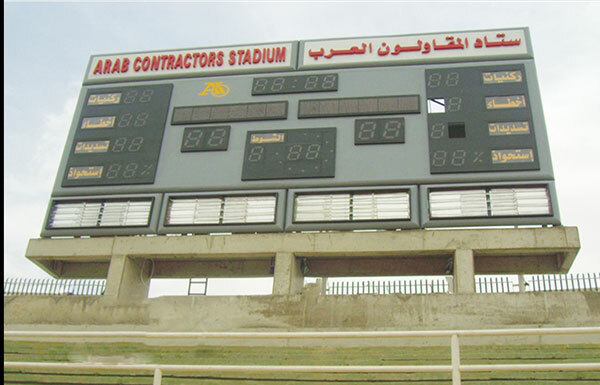 Arab International Optronics Company has the technique and technical components for the manufacture and assembly of electronic video boards through the joint manufacturing agreements with foreign companies. 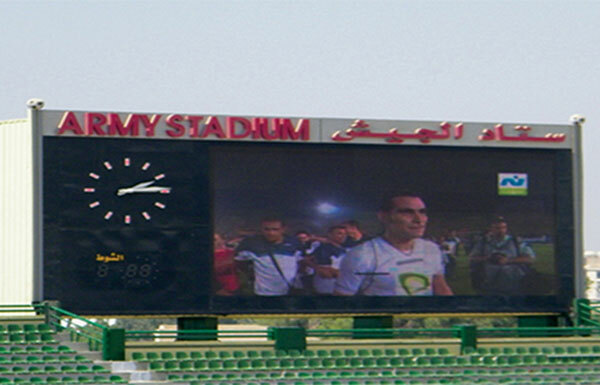 This was done by supplying and installing (2) video results in Borg El Arab stadium. All parts are easy to install and are available for change in fault conditions and defects. The keyboard has a wireless control panel for use from a distance (optional). 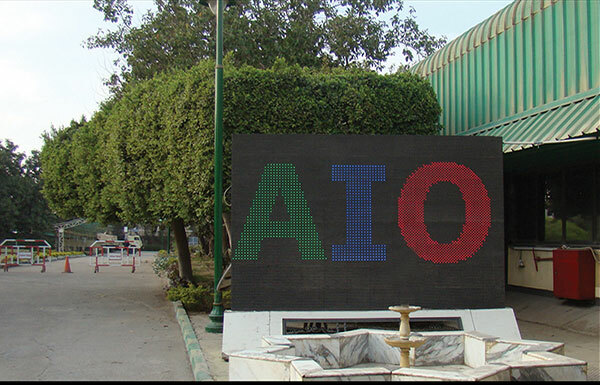 The panels are divided into electronic and video boards (electronic composed of LEDs and the driver, and displays animated written messages). The video panels also display films and video images in addition to their gradations using three colours - or thousands of colours.